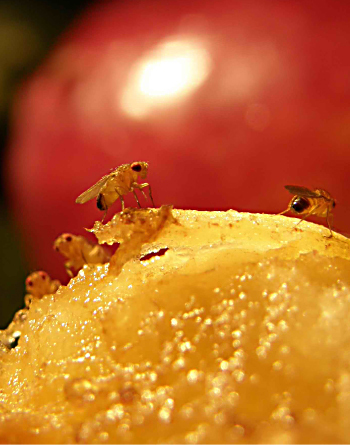 I) Much of our research involves the vinegar fly, Drosophila melanogaster. Our genetic and genomic work is anchored around the foraging gene that encodes a cGMP dependent protein kinase (PKG). We have worked with collaborators to study foraging’s behavioural functions in honey bees, ants and more recently in rats and humans where the gene is called PRKG1. Phenotypes addressed include: the regulation of feeding and movement patterns, triglycerides, weight, food deprivation, starvation resistance, metabolic homeostasis, seasonal feeding and weight gain. Studies of learning and memory and social interactions are also ongoing. II) Our collaborative projects use rats and humans to address gene-environment interplay in: 1) feeding, 2) obesity-related traits and, 3) mothering. Some of this work uses human cohorts including the MAVAN-the Maternal Adversity, Vulnerability and Neurodevelopment project. The focus is to expand our understanding of how our experience gets embedded in our biology through gene-environment interplay. We are expanding this research by moving from flies to rodents to humans and back again. III) The Canadian Institute for Advanced Research (CIFAR)- Child and Brain Development Program. Prof Sokolowski co directs this program with Prof Tom Boyce (UCSF). Click here to find out more about it. This program inspires much of the research going on in the Sokolowski lab.